A sprained left ankle rules Belarusian legend, Vladimir Samsonov, out of this week’s action in Doha. Vladimir Samsonov was crowned Qatar Open champion twice in his career to date. 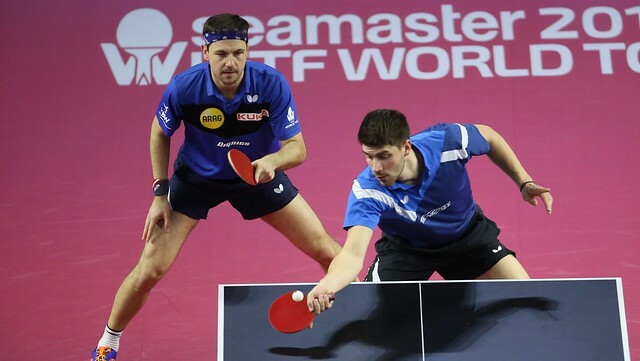 Confirmation has arrived of Vladimir Samsonov’s withdrawal from the Seamaster 2019 ITTF World Tour Platinum Qatar Open, which takes place this week in Doha. The 42-year-old reported a sprained left ankle after taking part in the Table Tennis Champions League earlier this month and will now miss the Qatar Open, which he had won twice so far in his career (in 2003 and 2015). Having managed to cancel his participation ahead of deadline, there will be no sanction for Samsonov. Restricted movement in his left ankle joint means that the Belarusian legend has been forecast limited physical activity for 10-14 days, as he bids to be back fit in time for the World Championships in Budapest between 21-28 April.